And we're back!! 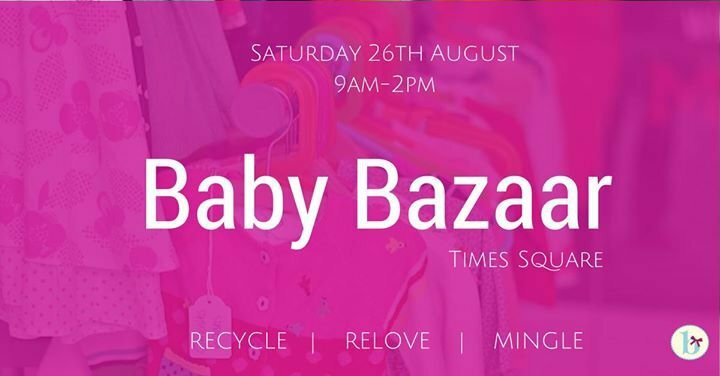 Join us at the first Baby Bazaar after the short summer break on Saturday 26th August 2017! Baby Bazaar has been running 5 years in Times Square Center Dubai and is an absolute must-visit for ALL mums! Baby Bazaar is a pre-loved baby and toddler market held on the last Saturday of ever month. It is a social event full of mums buying and selling quality, pre-loved baby, toddler and maternity clothes and items with a lot of coffee and cake thrown in! We also welcome some exciting home-grown UAE businesses at each market to wow us with their new and relevant mummy & baby products. Join us for a coffee, mingling and smart shopping at Baby Bazaar Times Square this month!